We are Manufacturer & Exporter of Pneumatic Spool Taking up Machine, Wire Spooling Machine & Spool Wire Taking up Machine. Our product range also comprises of PVC Cable Plants, Twisting Machine and Cable Laying Machine. We offer a wide range of premium quality Spool Take up Machine or 630mm spool pneumatic Take up. Our qualitative range complies with the most stringent quality parameters prevalent in the industry. For these plants manufactured by us, we use top grade steel which guarantees sturdy construction and lasting performance. Our plants are great values for their operational ease and energy efficiency. We offer Spool Wire Taking up Machine, Spool Wire Take up Machine, Spool Winding Machine, Pvc Cable Making Machine, Spooling Machine, Wire Spooling Machine, Wire Take up Machine etc at industry leading prices. 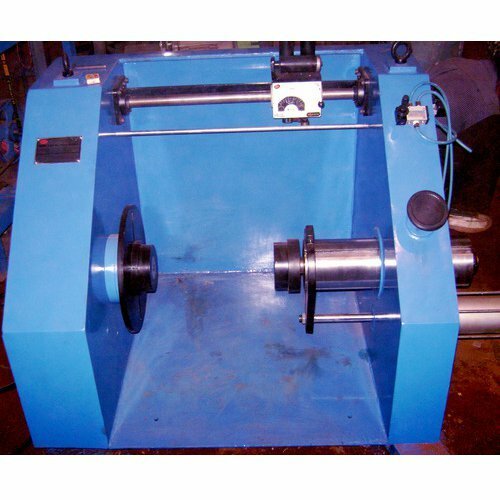 Looking for “Wire Spooling Machine”?